When it comes to comprehensive retirement planning, tax planning will always be a key component. When you are living off of a fixed income, as most are in their retirement years, the negative impacts of unanticipated taxes can be disastrous. But when it comes to tax planning, there is always a bit of guesswork involved, as short of having a magic crystal ball, no one knows exactly what the United States tax code and tax laws will look like in a few years like alone in twenty or thirty years. 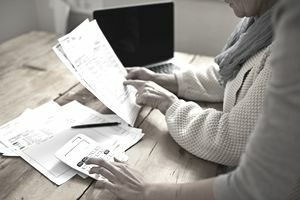 While there are best practices and steps you can take with a certified public accountant (CPA) and certified financial planner (CFP) to help prepare for the taxes that will impact your retirement plan, having a tax-free retirement account is the only way to avoid the tax problem in retirement entirely. Does it sound too good to be true? It isn't, but there are limits and rules that govern how tax-free accounts work, and for all benefits there are also downsides. To explore the world of tax-free retirement accounts, here are the answers to some frequently asked questions. Q: What does it mean if something is tax-free? A: An account is considered tax-free if there is no federal or state tax due on income earned in the account both when the income is earned and when it is distributed or withdrawn. It is through these types of accounts that money can be invested and grow without owing future taxes on that growth even when you withdraw the funds to spend. Q: What are examples of tax-free accounts? A: There is only one type tax-free retirement account: the Roth IRAs and Roth 401(k) plans. Under defined withdrawal rules and annual income and contribution limits, after-tax money invested in a Roth IRA or a Roth 401(k) is allowed to grow tax-free and remains tax-free when withdrawn in retirement. There is no other such tax-free retirement savings vehicle. Because this is such a valuable tool for retirement planners but not for the IRS (as it loses the opportunity to tax what could become a substantial account value), there are strict rules governing how Roth IRAs can be used to remain tax-free. Many people mistakenly also call Traditional IRAs tax-free accounts. While it is true that the money invested in a Traditional IRA is allowed to grow free from taxes, the account is actually a tax-deferred account meaning that the taxes are only delayed. In a Traditional IRA, withdrawals are subject to income taxes and because of the required minimum distribution (RMD) rules, by the time the account owners turns 70 ½, withdrawals must be made and therefore taxed. There are many more investment vehicles that offer this tax-deferral benefit over a completely tax-free benefit. For instance, in addition to Traditional IRAs, annuities and the cash surrender value of a whole life insurance policies also operate as tax-deferred accounts. At the end of the day, with a tax-deferred account, taxes are due at the time of distribution and with a tax-free account no taxes are due as long as the rules are followed. Q: How is a tax-free account different from a tax-exempt account? A: The primary difference between tax-free account and tax-exempt accounts is that in the United States, individuals can't establish tax-exempt accounts. However, individuals may invest in certain types of bonds like municipal bonds which pay tax-exempt interest. Typically, such interest is only exempt from federal tax unless it meets some other criteria to be exempt from state and local taxes as well. Q: How does it work if an account is not tax-free? A: All investments have the potential to pay income, increase in value, or both. Income from those investment comes from two primary sources: interest and dividends. If an investment is held in a taxable account, the income is added to the owner's taxable income for the year and results in a higher tax liability. Any sales of assets held in a taxable account which are sold for more than what was invested will also result in increased income and subsequent income tax. Whereas no tax would be due if the same investments were held in a tax-free account. Q: Will I get a tax deduction for a contribution made to a tax-free account? A: In general the short answer is no. The benefit of a tax-free account is the tax-free growth. The primary trade-off for that benefit (aside from the strict rules that govern tax-free accounts like Roth IRAs) is that you do not get a deduction for the initial contribution to the plan and that contribution must be made with after-tax money. However, there is one type of account that may also be used during retirement that offers upfront tax benefits and tax-free growth of earnings - the Health Savings Account or HSA. With an HSA, you receive an income tax deduction when you contribute money, but when you use the money in your HSA for medical expenses and qualified health insurance premiums, these distributions come out tax-free.